Kindle Fire refresh time has come from Amazon. This isn’t your typical refresh of the devices, but these tablets are pretty powerful. In the past the Kindle Fire line was a minimal update, but this time the tablets tout high-end HD displays, 2.2 Ghz Snapdragon processors, and a feature to have your own support technician right on your screen. 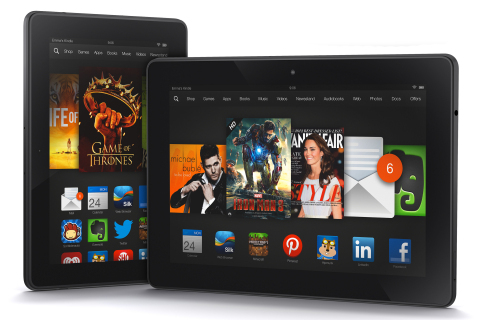 The Kindle Fire is still priced just right in the +$200 sweet spot for the 7-inch tablet. Plus, the hacker and hobbyist community enjoys seeing what the device is really made of by rooting and ROMing. Customers needing additional help can tap a button to get remote support 24/7 to assist with issues using the tablet. Pretty cool stuff. What’s up with Samsung and the new GOLD Galaxy S4? It’s well documented the beef between Apple and Samsung regarding design patents and other courtroom fodder. Recently, the iPhone 5S was launched with colors. Not just white or black, but there’s a gold iPhone 5S that’s captivating the masses. Seriously, what’s the point of this phone from Samsung? Maybe Samsung saw the droves of consumers wanting the gold iPhone and decided to grab a piece of the pie. 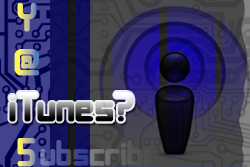 Next we talked about the Valve Steam OS announcement. Gamers are well familiar with the cloud service offered by Valve. Now the company is putting out a Linux-based operating system to not only allow play of video games from its cloud library, but also allow for multimedia consumption. Valve is trying to grow its market from the computer office to the living room of the home. We’re not sure how viable this will be for consumers. It will depend on the delivery and UI it offers. Mark thinks this is similar to the way Android started. Google is now indexing hashtags. . . on Google only such as Google+. So if you do a hashtag search in the omnibox or Google search bar, your results supposedly will come from Google+ streams. I’m not seeing any success with this on my personal searches. 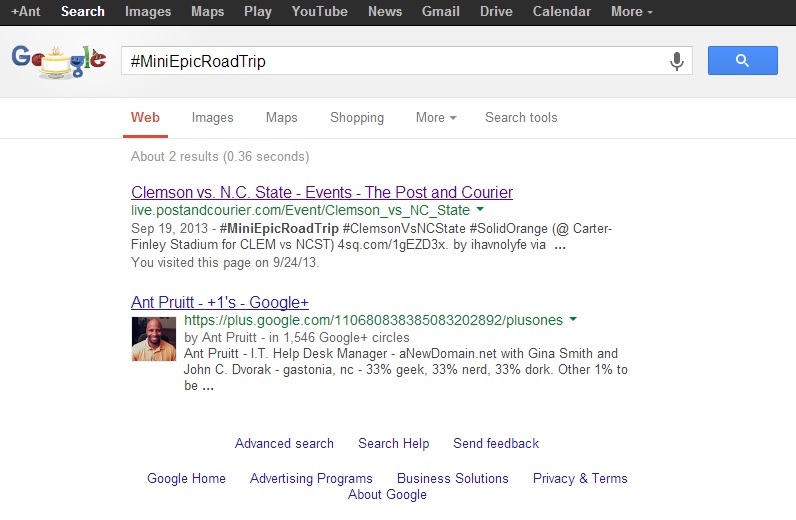 Here I try to search #MiniEpicRoadTrip and I still get results from other services. This was supposed to have been rolled out by now. Do you get the same behavior? In other Google news, YouTube comments are now integrated more with Google+ and commenters have to be Google+ members. This is an attempt at cutting down comment trolls as well as boost SEO value if high-ranking profiles comment on videos. Nick has put his Chromecast to task. He did a further analysis of the CPU usage on casting computers. He’s found that it’s definitely a resource hog. Granted, he and Larry have used dual-core CPU’s. Lots of RAM, but dual core chips. The tabs definitely spikes the CPU. We wonder the how cores of quad-core chips are affected. I plan to test out on mine as I just had a Chromecast delivered. Blackberry is now in the middle of a $4 billion sale to a private firm. Sure they’re laying off thousands of employees, but there’s still a little net worth in the company. 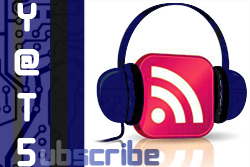 We take a look at another MOOC discussion from Larry’s blog. The courses are six or seven hours long and require approximately two hours a week of your time. Cord cutters are not a large mass of the community but Larry has found a survey that 38% of the US citizens are subscribed to Netflix. Larry thought that was a high number. I disagree and expected more due to the amount of mobile devices capable of running the streaming service. It could be even bigger in my opinion.